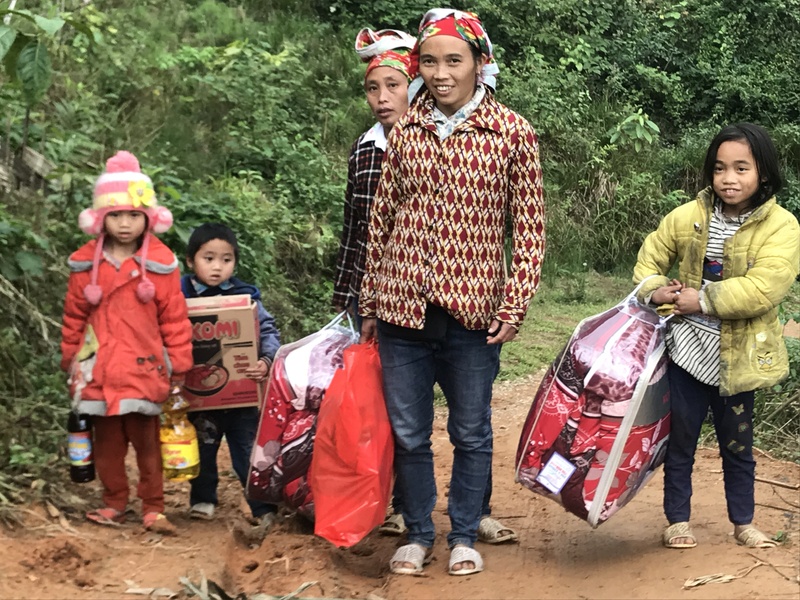 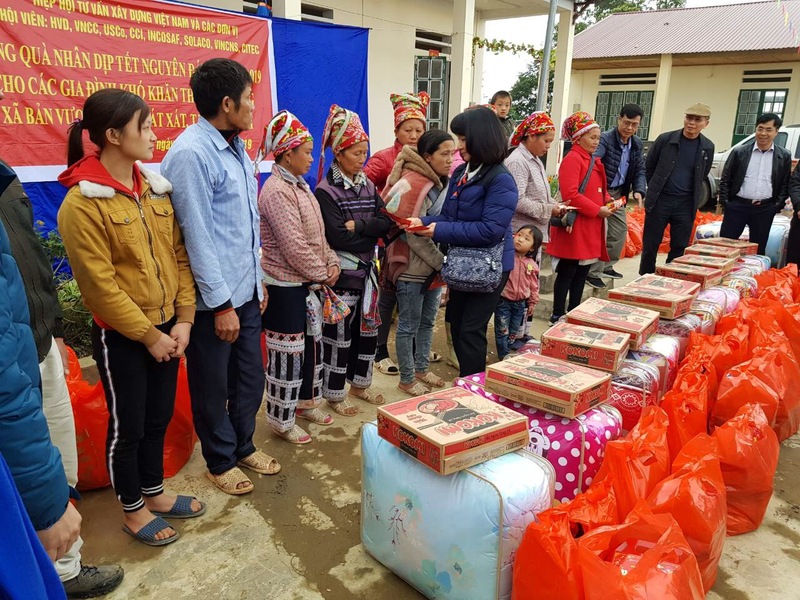 Supported by HVD construction and investment consultants joint – stock company (member of the VECAS) Ban Vuoc People’s Committee – Bat Xat district – Lao Cai province, the VietNam Engineering Consultian Association has organizing the gift giving program on the occasion of the Lunar New Year 2019 for 60 disadvantaged households (Red Dao ethnic) in San Lung village, Ban Vuoc commune on January 18, 2019. 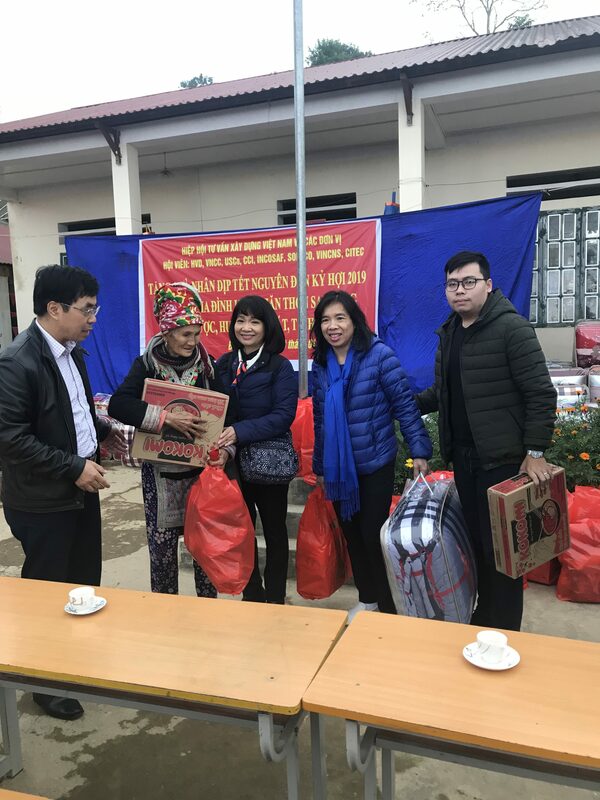 – SOLCO, CCI Consulting and Investment Joint Stock Company, Hanoi Traffic Consulting Joint Stock Company – CTEC, MAY MAN Architecture interior company Limited, VECAS’s Office … came to San Lung village, Ban Vuoc commune, Bat Xat district, Lao Cai directly presents gifts to disadvantaged households. 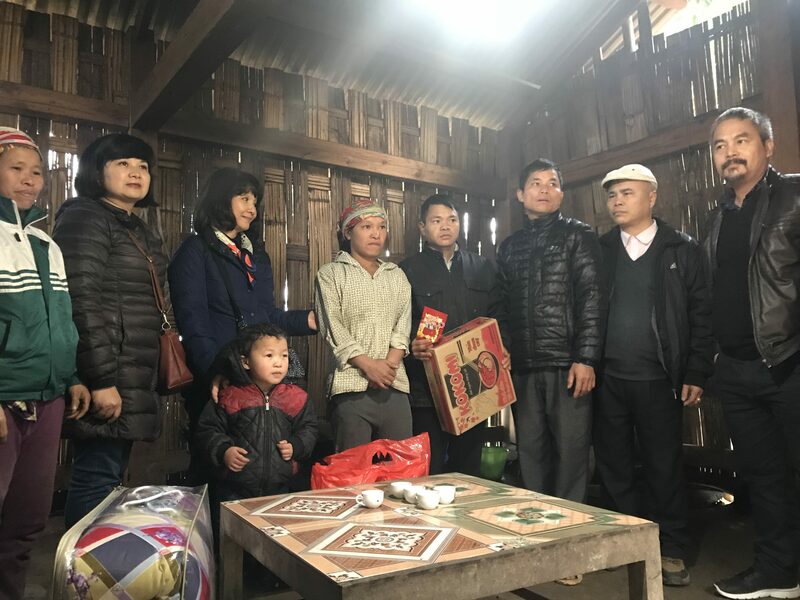 This is the annual traditional activity of the VECAS with the spirit of wanting to make a small contribution to disadvantaged families in some localities. 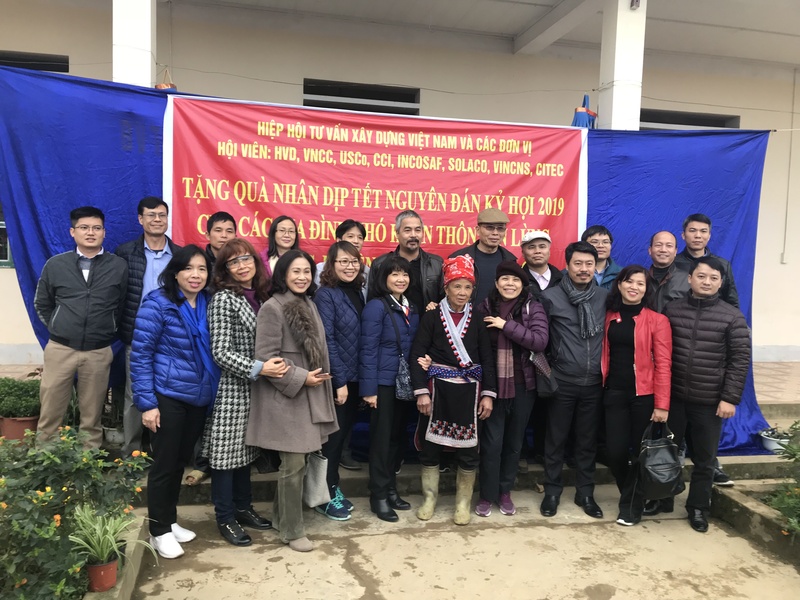 Vietnam Engineering Consultion Association and VECAS members are HVD, VNCC, USCO, INCOSAF, CCI, SOLCO, CTEC, Vietnam Contruction and development Investment Consultans JSC (VINCONS), INNO Architecture JSC, and some individuals in the association contributed VND 78 million. 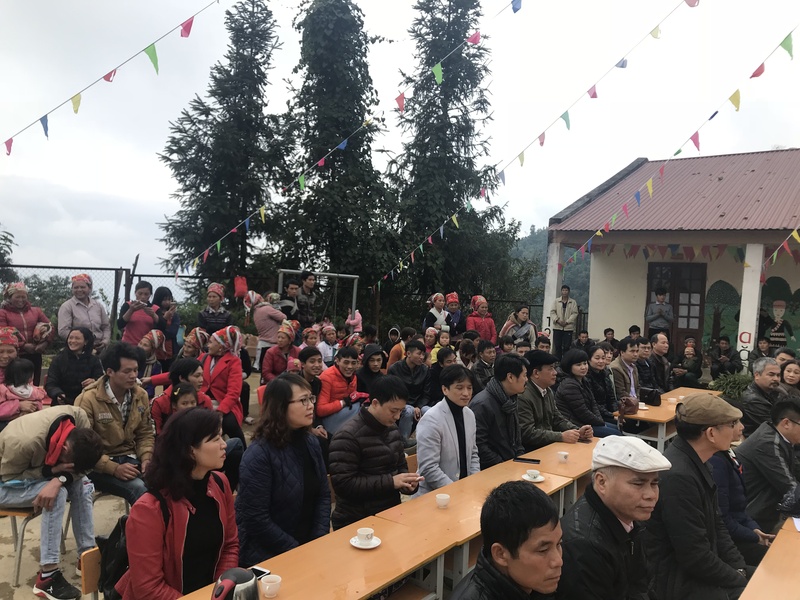 Representatives of Ban Vuoc commune leader, Secretary of Party cell secretary and Head of the village of San Lung, exchanged and expressed their thanks to the VECAS, its members and individuals in the Association for their time. 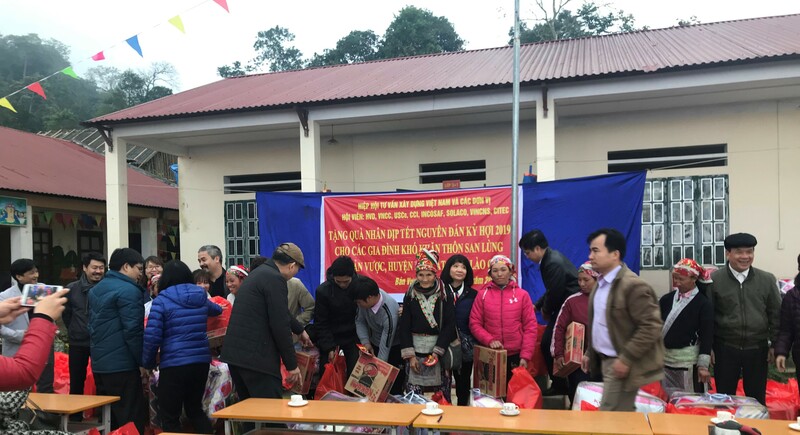 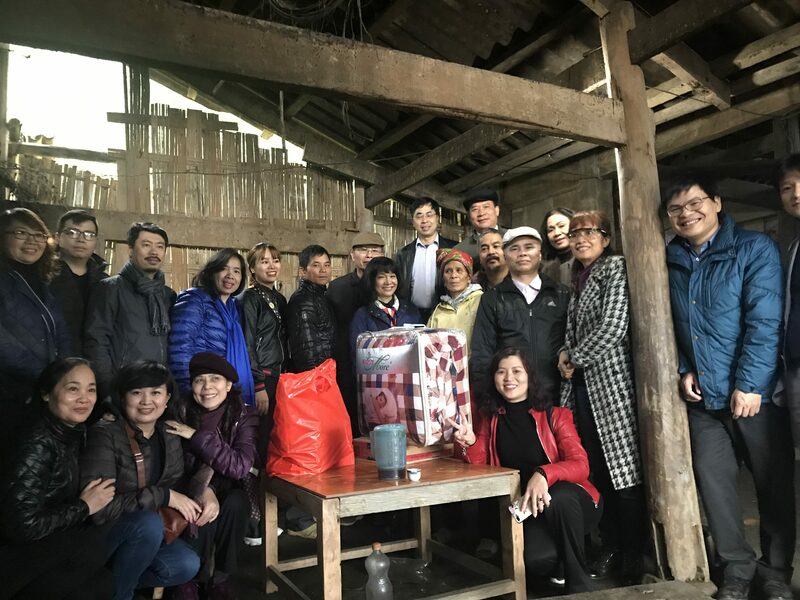 time to visit, share, support for disadvantaged families in the locality, With the guidance of the Party cell secretary of the secretary of the village of San Lung, the delegation of the Association came to 3 particularly disadvantaged households of San Lung village visited and gave gifts.